Lost Car Keys are specialist vehicle locksmiths, we supply, cut, and program replacement car keys for all makes, including van keys and truck keys too. 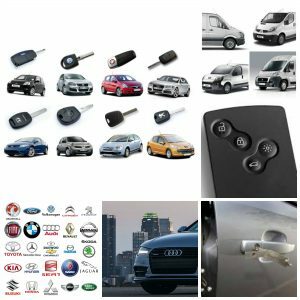 If you need a replacement car key because you have lost all of the keys to the vehicle, no problem, we are fully mobile locksmiths and have everything on-board to open your car, cut a key to fit your locks, and then program the replacement key to your vehicle immobiliser. Keys locked in the car … locked out of your car? Give us a call 07813 802039, we will open your car without damage and recover your key. any make of car we can provide a replacement car key, cut and programmed to your vehicle. Mercedes, BMW, Audi, Toyota, VW, Landrover yes we can, we have invested in equipment other locksmiths do not have, so we can do jobs other locksmiths say cannot be done. Car, Van or Hgv, give us a call and speak to a locksmith, we can give all the information you need. Replacement keys for all cars, vans and trucks.